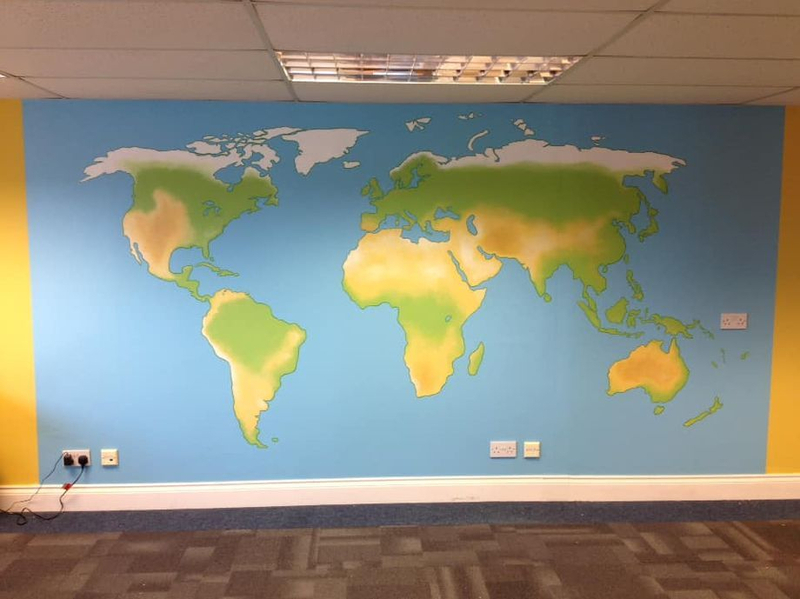 This world Map was painted at Soft Fruit Direct in Selling. The map and blue back ground took three days to paint. 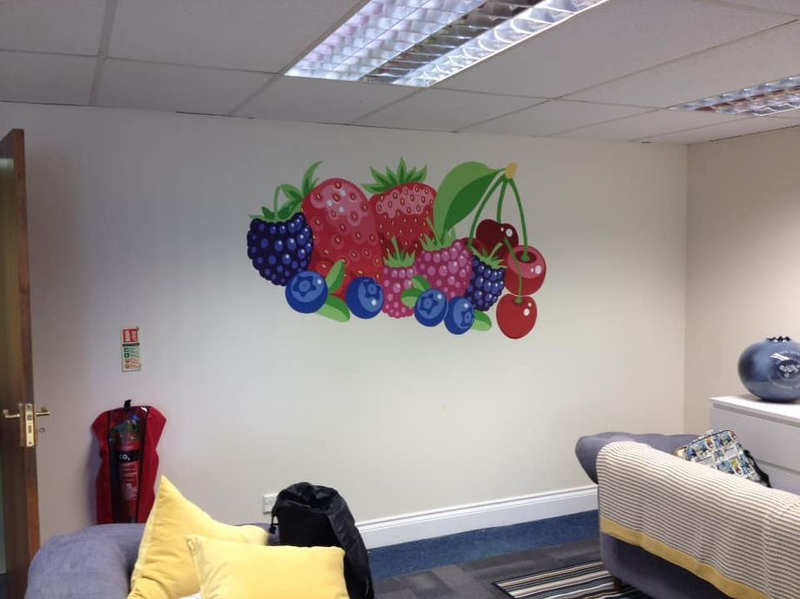 We also painted a large bunch of fruit above their sofa area to brighten up the space and make it feel more modern. This took one artist 2 days to paint.